Are you itching to slip on some flippers and explore life underwater? Guarantee yourself a good time by checking out our favourite snorkelling and diving spots all over the world. Menjangan Island, located within Bali Barat National Park, is rumoured to have some of the most beautiful wall-diving sites in Bali. The 40m wall named Pos Dua offers some of the most dramatic underwater landscapes in the area. Menjangan Island is serviced by nutrient-rich currents which have resulted in stunning coral growth and plentiful marine life. Snorkellers and divers may spot turtles, scorpion fish, and schools of trevally and fusilier. Its crystal clear waters, remarkable coral formations, colourful reef fish and dramatic drop-offs make Menjangan Island a favourite destination among snorkellers of all abilities. Hanauma Bay, on the eastern side of Oahu, is arguably the best snorkelling spot in all of the Hawaiian islands. This old volcanic crater is sheltered from strong currents and waves, making it an ideal place to swim and snorkel. Hanauma Bay is famous for its white sand, its calm, shallow waters, and the sheer quantity and variety of its marine species. Keep an eye out for turtles, crustaceans and eels, as well as parrot fish, angel fish, yellow tangs, butterfly fish, trumpet fish, humuhumunukunukuapuaa (the state fish of Hawaii), and many more species. Hanauma Bay, Hawaii. Image Credit: Banzai Hiroaki. One of the United States’ few marine national parks, Buck Island was declared a National Monument in 1961. Today, Buck Island Reef National Monument encompasses hundreds of square metres of reef and land near the northeast coast of Saint Croix. With a worldwide reputation among snorkelling enthusiasts, Buck Island is known for its white sandy beaches, fantastic reefs, and its unique underwater snorkelling trail. Silver Bank contains the largest seasonal population of humpback whales in the North Atlantic Ocean, if not the world, with 5000 to 7000 humpbacks passing through the region each winter. This 104-square-kilometer area in the Caribbean Sea was declared a whale sanctuary in 1986. 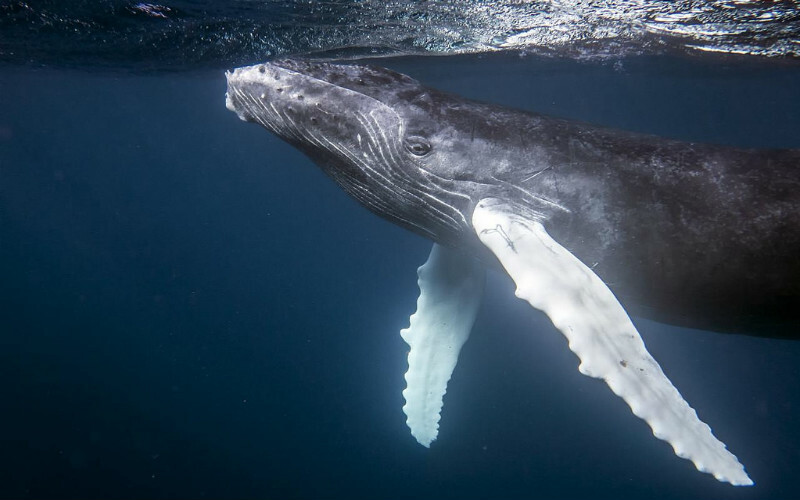 As its protected status ensures that the sanctuary remains off limits to large ships, there are few better places on Earth to witness humpback whales mate, calve and play. Silver Bank, Dominican Republic. Image Credit: Christopher Michel. The Captain Cook Monument, on the north shore of Kealakekua Bay, is only accessible via boat, kayak, or on foot—if you’re willing to tackle the 3.2km hike with a steep 460m drop in elevation. This white obelisk marks the spot where Captain Cook was killed in a skirmish with native Hawaiians in 1779. 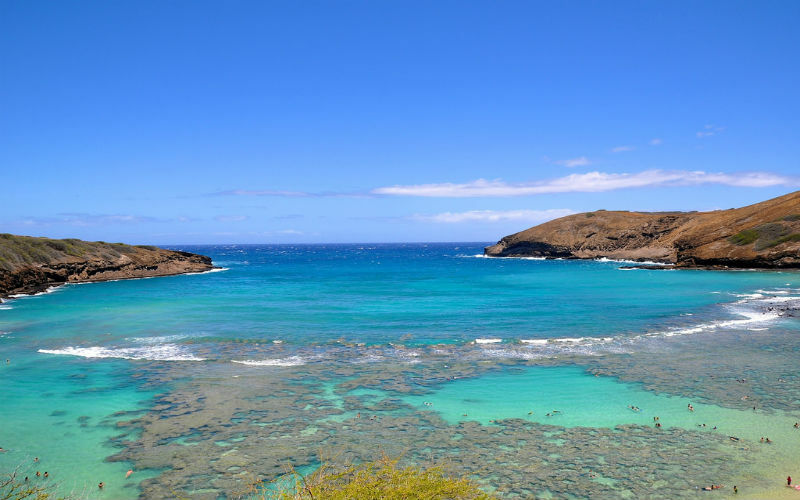 Despite, or perhaps because of, its relative seclusion, the area surrounding the Captain Cook Monument offers some of the best snorkelling in Hawaii. The reef is extremely delicate, however, so it’s best to explore the area with a guided tour. Keep an eye out for small spinner dolphins playing in the waters of Kealakekua Bay. 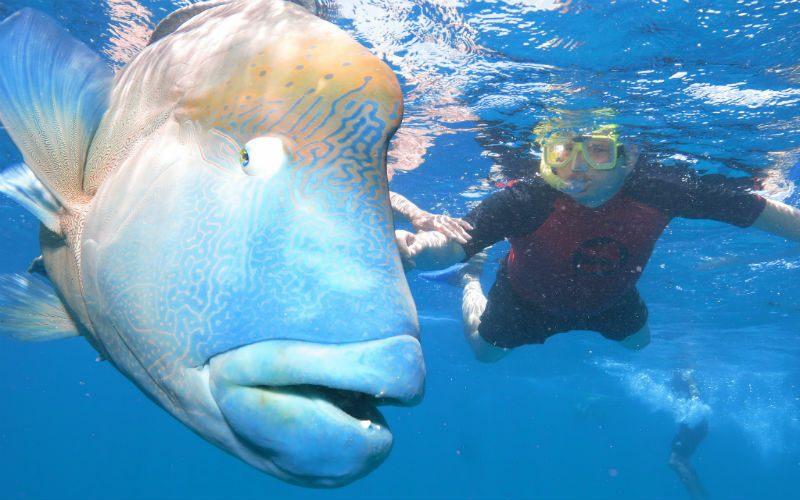 Norman Reef lies roughly 70 kilometres off the east coast of Australia within the world-famous Great Barrier Reef. The crystal clear water around Norman Reef allows snorkellers and divers to enjoy incredible underwater visibility of up to 30 metres. Snorkellers can get up close to colourful coral gardens and tropical fish, as well as giants clams and a variety of turtles. Scuba divers can reach depths of 30 metres while exploring underwater canyons, surreal swim throughs and grandiose caves. Night dives offer more adventurous travellers the chance to spot lobsters, grey reef sharks, and spectacular red bass. Norman Reef, Australia. Image Credit: Phil Whitehouse. When it comes to snorkelling, not many people think of Egypt. Despite this, the small town of Dahab is said to offer some of the best snorkelling in the Red Sea. Situated on the southeast coast of the Sinai Peninsula, most of Dahab’s diving spots are easily accessible from the shore. Thanks to its decidedly arid surroundings, the silt-free water is characterised by great visibility and a delightfully warm temperature. Experience the vertigo of traversing The Bells’ two-kilometre drop, then come face to face with the awe-inspiring Blue Hole, a 94 metre sinkhole. The Bay Islands, off the north coast of Honduras, encompass the islands of Roatán, Utila and Guanaja, among numerous smaller islets and keys. The Bay Islands are home to one of the richest and most diverse reef systems in the Caribbean, featuring fish, turtles, corals, sponges, rays, and even whale sharks. The complex system of reefs surrounding the Bay Islands are part of the second-largest barrier reef in the world. Pigeon Cay, an uninhabited island about 45 minutes from Roatán by boat, is one of the region’s best kept secrets. Bay Islands, Honduras. Image Credit: Ross Garner. Almost 1000 kilometres from the coast of Ecuador, the rocky island of Plaza Sur is surrounded by gentle waters which make it a great snorkelling location. Aside from its diverse flora and bird species, Plaza Sur is known as a major habitat for Galápagos sea lions. Snorkelling, swimming or diving near the island is a great way to meet the thousands of sea lions who call Plaza Sur home. Juvenile sea lions can be quite playful and will often approach humans while performing their underwater gymnastics. Catch a boat from Puerto Ayora on nearby Santa Cruz Island to explore Plaza Sur for yourself. 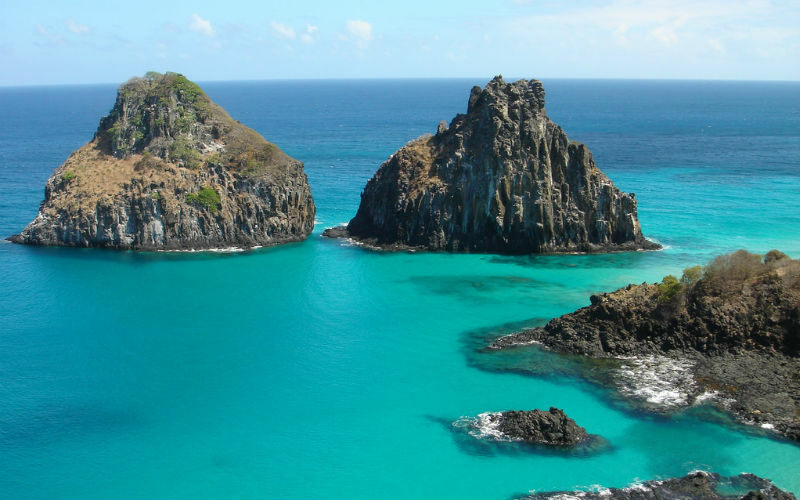 Fernando de Noronha is an archipelago of islands hidden roughly 350 kilometres off the coast of Brazil. Because of its diverse and unique ecosystems, Fernando de Noronha is a highly protected area. Some islands do not accept new residents and restrict tourism to a thousand-person limit at all times. What’s more, a daily tax is implemented to dissuade tourists from staying for long periods of time. These measures have resulted in a healthy and well-preserved area which enjoys a spectacular assortment of marine life, including tropical fish, sharks, moray eels, sea turtles, manta rays, and the largest colony of spinner dolphins in the world. Due to its unusually warm waters, you can even dive as deep as 30 or 40 metres without wearing a wetsuit. 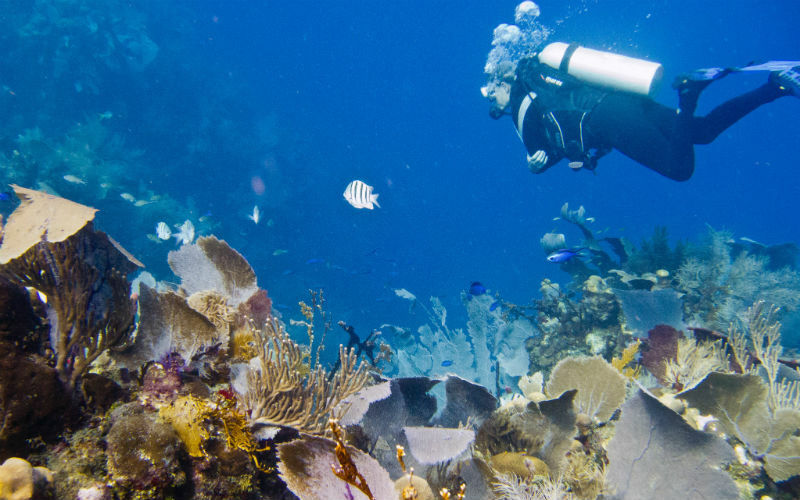 The underwater visibility is also outstanding, with views of up to 50 metres. Fernando de Noronha, Brazil. Image Credit: Roberto Garrido. Ready to start your snorkelling or diving adventure? Get in early and secure cheap flights to one of these incredible holiday destinations.